Eyebrows are the focal point of the face; they are the first feature people notice when they look at you. 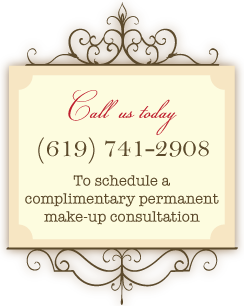 We design your Permanent Eyebrows to frame your face and appear natural. MPi Clinic creates beautiful brows with our stylized technique to resemble fine hair-like strokes that give the illusion of having natural hair, even if the hair is light, sparse or completely gone. The artist meticulously hand draws a pattern unique to each client, ensuring balance and symmetry. Your comfort is important to MPi Clinic; this is why we proudly perform a 3-step numbing technique. This allows our clients to remain comfortable during the cosmetic tattooing procedure process. After completion, you will receive a post-treatment care instructional sheet along with proper topical gel for application to your Eyebrows. Approximately 4 to 6 weeks after your initial procedure, you return to our clinic and the Eyebrows are examined for any gaps or areas that may need additional color at this time. Once completely healed, you now have your natural looking Eyebrows to enjoy for years to come!